Advisors and professors always say that the key to success in the almighty post-grad job hunt is internships. Well apparently, I won’t be able to unlock that door, because I’ve never had an internship. As an education major, finding relevant work during the summer is nearly impossible (because no school…duh). Thankfully, a desk job, waitressing, retail or any work can be “relevant work” if you know how to spin it. 1. Get a cool story to tell. Take it from Zack Downey, a math and economics major at Boston College. “Consider looking into a position you wouldn’t normally,” said Downey. Downey spent last summer working the Boston College Bands Office. The position taught him valuable communication and marketing skills, and gave him experience with a database software. “Learning a way of thinking can be incredibly useful and no matter what, you’ll have an interesting story to tell interviewers,” he said. Though none of his new skills are directly mathematical (no, he wasn’t solving equations all day), they’re all eye-grabbers he can put on his resume to make him stand out from other desperate grads. Most importantly, I guarantee that he snuck in some Facebook creeping while sitting behind a computer all day. 2. Play CEO for a bit. Danielle Parisi, a business administration major at Anna Maria College, worked in a small, family-owned funeral home for the past two summers. Parisi worked as the home’s receptionist, though sometimes the lines blurred a bit. “In a small business, sometimes everyone is the boss,” said Parisi. She learned valuable communication and office management skills, and she was able to really learn the ins and outs of running a business, even though she has no interest in running a funeral home as a future career. “For me, any work in an office setting is worthwhile,” said Parisi. While the job itself may be a bit unsavory (closed caskets only, please), the experience and business skills you gain from a summer job can be a huge boost in confidence. In many cases, a summer job can completely change your career path. Justin Solle, a biology major at Boston College, said that his summer position at a non-profit is what caused him to divert from his pre-med track. He spent most of his time working with social workers in low-income hospitals but managed face time with medical professionals. Solle also gained first-hand marketing skills to put on his resume (priceless). “I presented our outreach strategy as a pitch to medical professionals to encourage them to screen for food insecurity. I made ten presentations to over 200 doctors, nurses and social workers,” said Solle. How many interns can say they made that kind of impact in a company? Because the office’s primary language was Spanish, this job even forced him to flex his bilingual muscles. How did he manage to fit all this experience into three months when I can’t even finish Grey’s Anatomy in that timespan? Personally, I’ve never had an internship or job directly related to my future career. As a future high school teacher, I can’t really pursue that over the summer. Instead, I’ve worked at Stop and Shop, a local grocery chain, and learned so much simply interacting with people. You never know how people are going to behave: I’ve been yelled at more times than I can count for things that were completely out of my control. Despite this, I’ve learned to maintain a level head in crisis-like situations. If you think I’m exaggerating, then have a a lady yell at you for 18 straight minutes because her ice melted in the course of her two-hour shopping trip. In July! My experience communicating with other people will be completely invaluable in my role as educator. Working with people is not like working with machines: I can’t yell and hit them when they don’t cooperate with me. 5. Ace your future interviews. Paulina Isaac, a junior at Temple, said that she actually had an interviewer recently ask her if she had any retail experience. “Because I have to cold call people to check facts, she said working in retail prepares you when it comes to talking to different people,” said Isaac. Plus, working retail gives you priceless communication and marketing experience, ensuring you nail that big interview. You’re selling things to customers, just like you’re selling yourself to interviewers (not literally, oh my God). When you’re working retail, you get really good at reading people. You figure out when to offer help and when to back off. 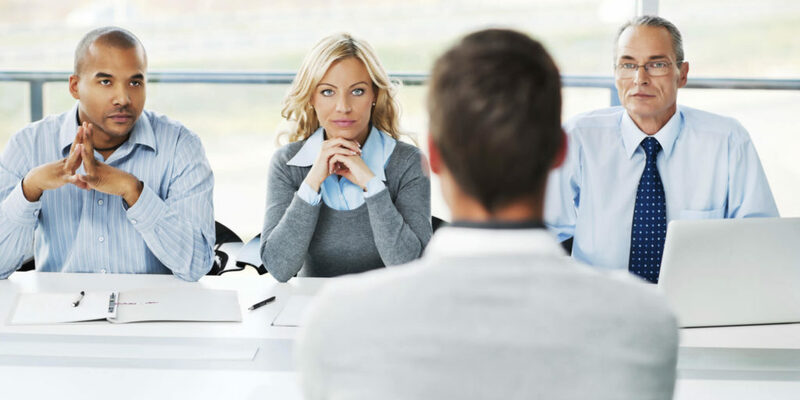 Reading your interviewer can help you figure out exactly what to say to get them to offer you a position. Also, can you say employee discount? We promise: internships are not the only way to gain valuable experience over the summer. So sit back, relax, and consider a unique opportunity this summer. You’ll surprise yourself (and future employers) with what you learn. And who knows, you might even have a little fun along the way. Senior at Boston College. Future high school English teacher. I laugh, eat, and talk too much. My main loves include the Boston College Marching Band, peanut butter, pandas, country music, and Breaking Bad. Summer Internships: What’s the Big Deal?